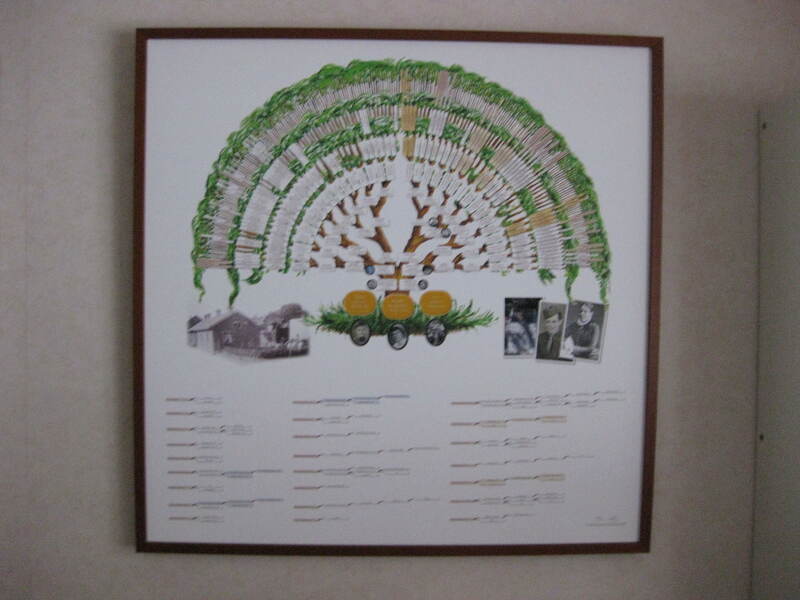 I just wanted to thank you again for making such a beautiful family tree for me! I have framed it and as you can see in the slightly blurry picture, I chose a ‘clean’ frame in the color of the oak trunk. The painting gives me joy every day!